Lawmakers are calling for a halt to Saudi arms sales. That could mean a big hit for Raytheon. An arms package offered to Saudi Arabia would mean big money for Raytheon, which builds the Patriot missile defense system in Andover. The killing of journalist Jamal Khashoggi is heightening calls for the United States to block arms sales to Saudi Arabia, a controversy that could have big stakes for Waltham-based defense giant Raytheon. The company, which employs some 12,000 people in Massachusetts, counts the Middle Eastern power as a major client. This has placed the state’s all-Democratic congressional delegation in the position of choosing between human rights and local industry. And so far Raytheon’s Saudi business has found few defenders. Raytheon stands to collect billions in sales to Saudi Arabia under a recent deal to deepen the country’s military ties with the United States, and last year committed to a years-long collaboration with a Saudi defense firm. This year alone, the kingdom committed to spending $670 million on Raytheon antitank missiles and other equipment. But even before Khashoggi disappeared, US arms deals with the Saudis were coming under fire because of the kingdom’s military intervention in an internal conflict in neighboring Yemen. A Saudi-led coalition has tried to drive out Houthi rebels allied with Iran with airstrikes, contributing to thousands of civilian deaths, displacement, and famine. 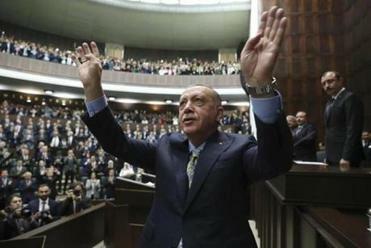 Turkey’s president also called on Saudi Arabia to extradite 18 suspects to face justice for the crime, which took place there. Read: Vennochi: Profile in profit? Senators Elizabeth Warren and Ed Markey voted last year for legislation that would have stopped some arms sales to the Saudis, along with a bill that called for congressional review of US involvement in the Yemen conflict. Since Khashoggi’s disappearance, and following news of his death, both senators have made fresh calls for ending arms deals with the kingdom. Markey has called the situation a turning point in the US-Saudi relationship, warning that the nation’s moral authority is at stake if it fails to act. The delegation has taken different legislative tacks on the issue, however. Kennedy, Clark, McGovern, and Representative Michael E. Capuano have supported the Yemen review, which could complicate the flow of military aid. Representative Seth Moulton has called for economic sanctions against the regime. Keating, the ranking Democratic member of the House subcommittee on terrorism, nonproliferation, and trade, said he would support action to hold up major Saudi arms deals, which must be submitted for review. “This is not an economic issue. We’re a country that is founded on ideas and ideals. We’re not a country founded on arms sales,” Keating said. Khashoggi, a permanent US resident from Saudi Arabia and opinion columnist for The Washington Post, disappeared after walking into a Saudi consulate in Turkey on Oct. 2. Turkish officials, who are investigating, say he was killed and dismembered in a premeditated attack. Saudi Arabia has maintained the death was an accident. The killing has prompted sharp international criticism of Saudi Arabia’s 33-year-old crown prince and de facto ruler, Mohammed bin Salman, compounding concerns about his leadership of the wealthy oil state. Germany has vowed not to approve any arms exports to Saudi Arabia as the inquiry into Khashoggi’s death continues. In the United States, lawmakers from both sides of the aisle have spoken out about the issue. Trump, who has cultivated close ties and lucrative weapons deals with Salman, has been less forceful. He has spoken of possible consequences for the Saudis, but has said he does not want to halt arms sales because it could hurt arms manufacturers like Raytheon. Raytheon did not respond to multiple requests for comment. Analysts who follow the US-Saudi relationship say they do not expect a long-term disruption, despite the escalating rhetoric. Jon B. Alterman, director of the Middle East Program at the Center for Strategic and International Studies in Washington, noted that Saudi Arabia remained an important regional partner for the United States even in the wake of the terrorist attacks of Sept. 11, 2001, in which the majority of the culprits were Saudis. 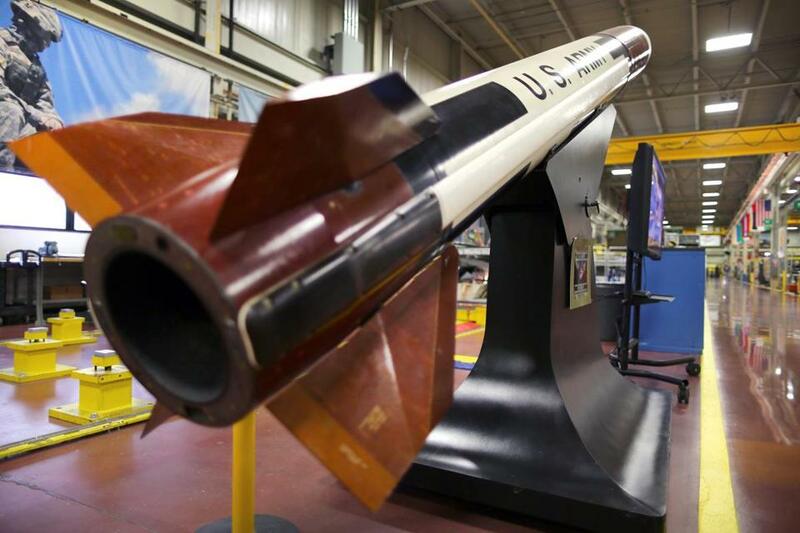 Any kind of slowdown could have a big price tag for Raytheon. An analysis by Defense News said the company would likely bring in at least $6.65 billion as part of a $110 billion arms package Trump had offered to the Saudi government last year. That came largely from enhancements to the Patriot missile defense system, which is built in Andover. The company has previously said it employs about 4,000 people at that facility alone. Raytheon’s sales to the Saudis have already been complicated by concerns over the Yemen conflict, in which the United Nations estimates 10,000 people have been killed. A Saudi-led coalition there has faced criticism for hitting civilian targets using US weapons. Senator Bob Menendez of New Jersey has been using his role as ranking Democrat on the Senate Foreign Relations Committee to block Raytheon’s proposed sale of a package of precision-guided missiles to Saudi Arabia and the United Arab Emirates. A report by The Wall Street Journal estimated that deal would be worth more than $2 billion. Though those numbers are large, they are spread out over many years and are likely not make-or-break deals for Raytheon. Byron Callan, who follows the defense industry at Capital Alpha Partners in Washington, said Saudi business likely accounts for less than 5 percent of Raytheon’s sales. “It’s an important relationship, but even in the event that the US turned off the arms spigot to Saudi Arabia, it’s not going to put Raytheon out of business,” Callan said. He added, however, that it could lead to some layoffs locally. Activists concerned about Saudi Arabia’s human rights record have been protesting Raytheon for months, highlighting its Saudi business as a local connection to a crisis they say needs urgent action. Cole Harrison, executive director of Massachusetts Peace Action, said incidents like the death of Khashoggi highlight the brutality that has been on display in Yemen. Harrison’s group has been protesting at Raytheon facilities in the Boston area, and also held demonstrations when Salman visited Boston last year to highlight ties with institutions including MIT. MIT also says it is reevaluating its relationship with Saudi Arabia. Material from Globe wire services was used in this report. Martin Finucane of the Globe staff also contributed. Andy Rosen can be reached at andrew.rosen@globe.com. Follow him on Twitter @andyrosen.